World Cup, the biggest football (or soccer) tournament in the world, is held in Russia this year. Many fans go to Russia to cheer for their favorite teams, but most of World Cup football fans are not available for watching on the scene. To follow the football teams they like, get to know the game schedule and platforms for watching is the first thing they should do. 32 football teams from different counties are divided into 8 groups. Each team will compete with the other 3 teams in their groups for one time. 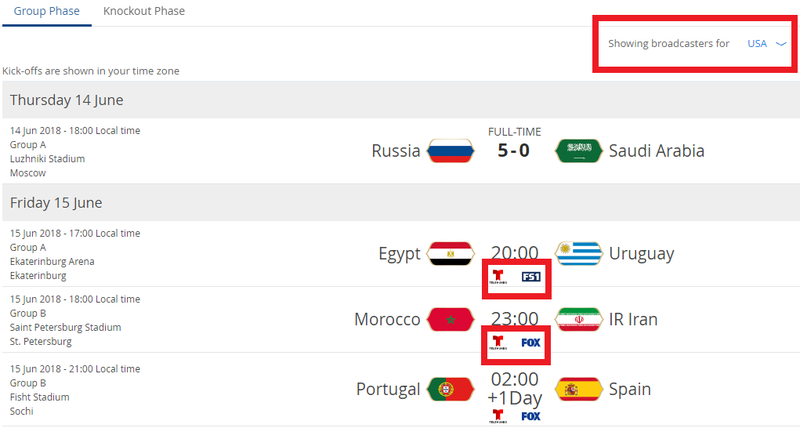 You can check the matches time on the official FIFA World Cup site. The time shown on the site is in your time zone so that you have no need to calculate the time difference between Russia and your country. How to Watch World Cup 2018 Football Games? Watch football game on TV and cheer for your favorite team or star together with family or friends is a wonderful leisure time. Most countries have one TV channel or several TV channels to broadcast the popular sports game. You can focus on the channel(s) to watch 2018 Russia World Cup. FIFA World Cup website shows all broadcasters for you by selecting the country. For example, choose “USA” on the list, Telemundo Television Network, Fox Broadcasting, and Fox Sports 1 appear under the matches. So you can watch World Cup through the TV channels in USA. Since the 2018 World Cup is taking place in Russia, the games may start at morning or midnight in your country. Don’t worry if you miss the football games on TV. You can click the broadcaster on FIFA World Cup website to watch videos on their official sites. You can also watch football games through some social media apps. 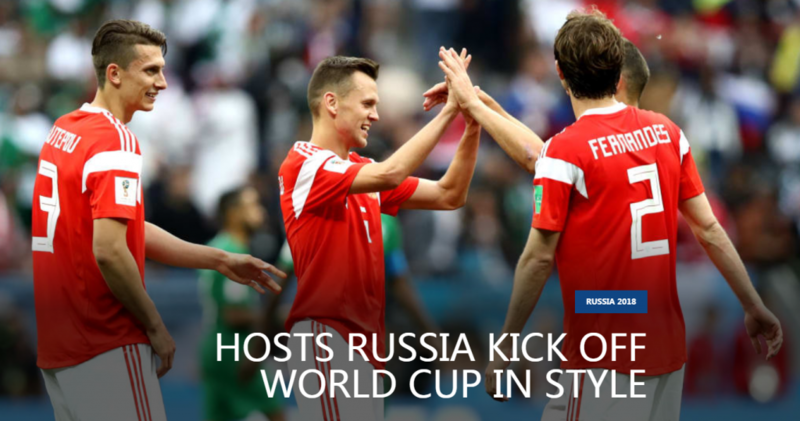 Twitter and Snapchat are allowed by Fox Sport to offer highlights about 2018 Russia World Cup. Therefore, you will know what is happening in the games within the apps. YouTube is another platform to watch 2018 FIFA World Cup. As the most popular video site, YouTube won’t let the biggest sports event go. Thousands of results about the football tournament appear after searching “World Cup” on YouTube. To find videos you want, you can filter by Update Date, Type, Duration, Features, etc. However, not all football fans have enough time to watch the games on TV. But watch games online will run much data when they are outside and have not connected to WiFi. Thus, watch football videos offline is a good option for those who are busy with works. If you are busy as well and want to watch World Cup when you are outside, you’d better download some World Cup videos on your phone to watch at odd times. Since most of sites refuse you to download the videos you like, you may can not download World Cup videos without the help of video downloader. In the situation, install a downloader like InsTube, then World Cup videos from Twitter, YouTube, Dailymotion, and many other sites are at your fingertips. Watch World Cup videos offline is great as you won’t be troubled by ads and poor network. Anyway, you can watch the football matches on TV, social media apps, official sites of broadcasters, YouTube. Or watch the downloaded football videos on your phone when you are outside.